This outstanding new care facility has been designed and constructed to the University of Stirling design standards, (considered the gold standard for people with memory loss). While physically attached to Springhill Care Home, the new care centre is a separate dedicated facility, complete with its own entrance. The new care centre provides a cheerful, bright and modern environment, designed to promote a more person-centred style of residential care & support. The care centre comprises five smaller self-contained suites of between eight and ten bedrooms, with each suite having its own communal spaces. 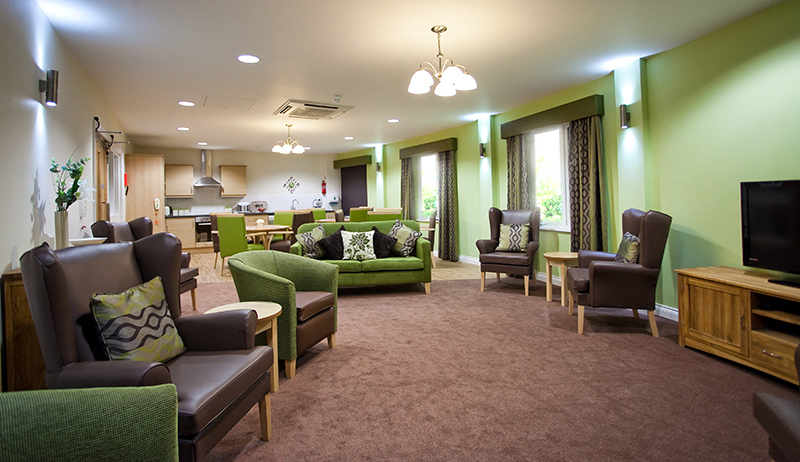 The self-contained suites enable us to support people at various stages of their memory loss. All bedrooms are spacious and luxuriously appointed, with private en-suite facilities including wet room showers. Each suite comprises an open plan lounge and dining room area with lifestyle kitchens for resident and relatives' use. Our staff team has been carefully selected for their personal values and ability to provide care and support for people with memory loss. Springhill offers a positive lifestyle choice, a choice for your care, your way.